Following its acquisition by Fitbit, the future of the Pebble brand and its smartwatches has been somewhat in the air. Thankfully, one big question worrying Pebble wearers has now been addressed thanks to loosening up the smartwatch's reliance on cloud servers. 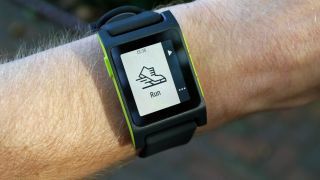 A new update for the official Pebble app for iOS and Android now allows the company's wearables to function without a connection to Pebble's servers. Effectively, Pebble's smartwatches now have the option to work offline, giving users the ability to side-load apps and updates themselves. Of course, this method restricts certain features that rely on cloud data, but opens up the smartwatch's functionality. In addition to side-loading software, the update also gives Pebble users the option to bypass logging in to an authentication server. While going this route renders the official Pebble app store inaccessible, users can ensure they'll still be able to use (most of) their smartwatch's functions even when they can't get a signal. It's still unclear what the future holds for Pebble and its wearables, but the latest update promises that if nothing else, users won't be stuck with a brick strapped to their wrist, should Pebble's servers go down.